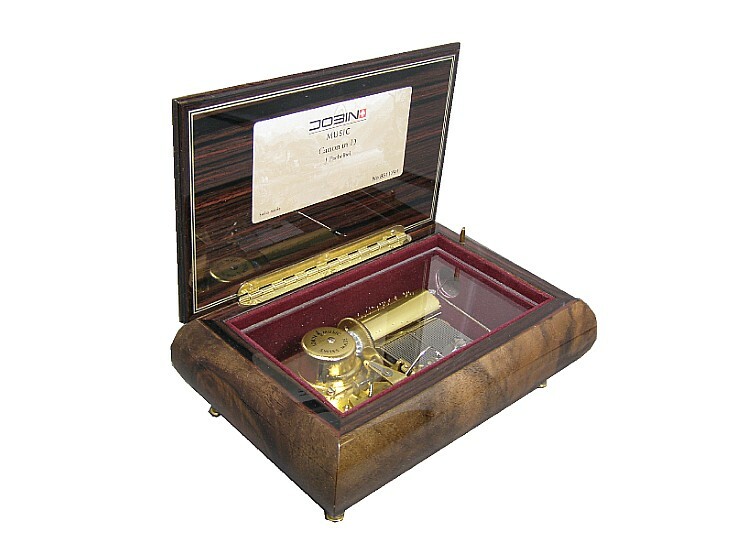 A beautiful musical box finished in Walnut. 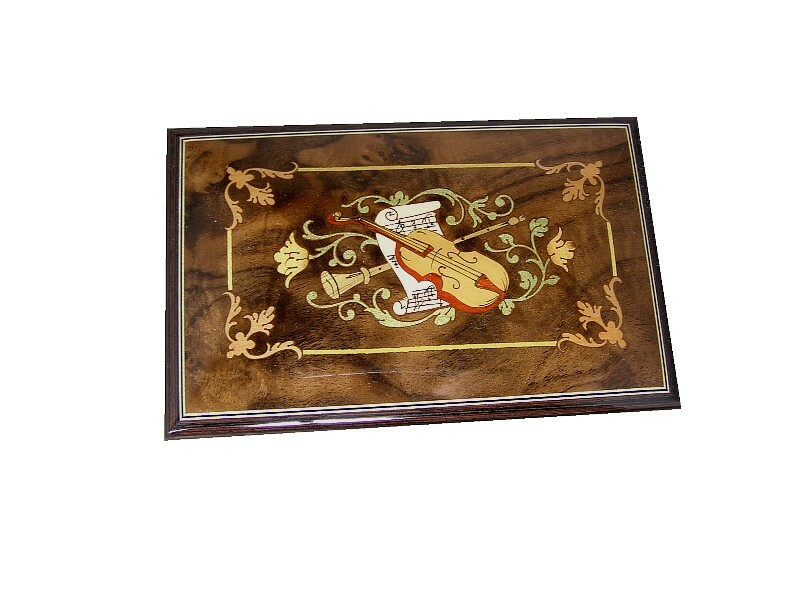 This classic musical box is made with a beautiful inlay on the lid. The wood inlay is of a violin, horn and music manuscript. 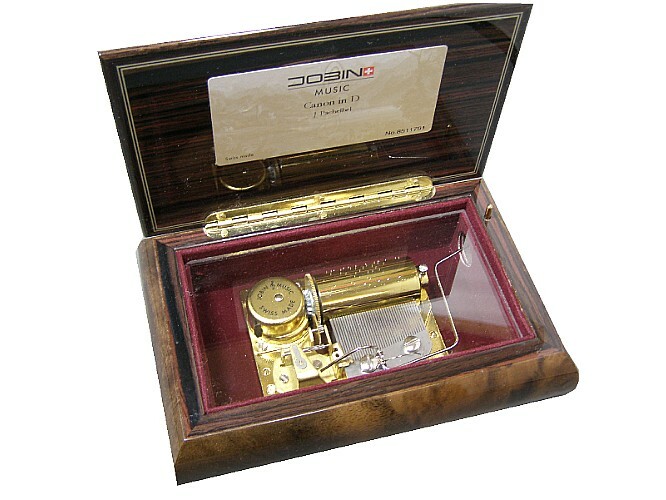 This Swiss musical box by Jobin has an opening lid, which when opened plays Canon in D by J. Pachelbel. The clockwork 36 note musical movement is wound from underneath. 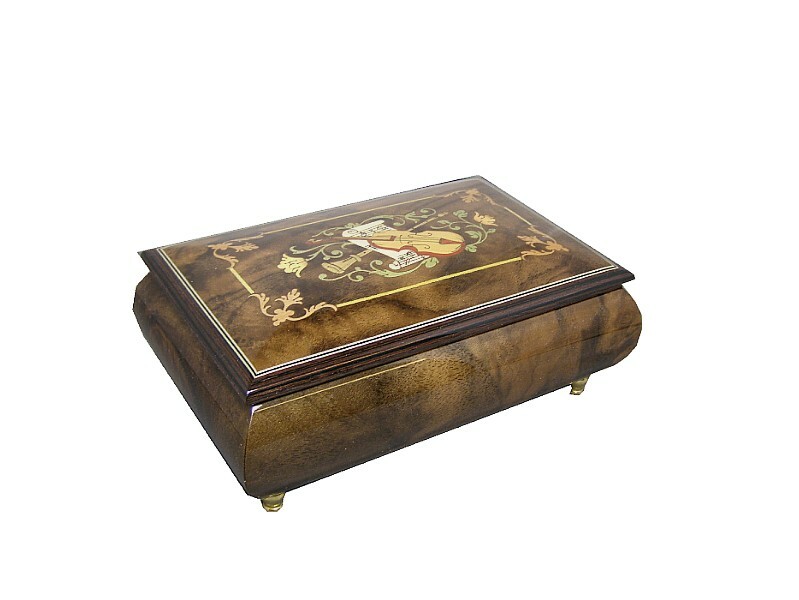 Approx Size : 160 x 106 x 70 mm. Please be aware that although music boxes and the components inside are sealed, they do contain small parts and a removable metal key. If you are unsure about suitability, please telephone and ask one of our staff for guidance.